KIALOA's designers often say "the faster the craft, the bigger the blade", so they branded this the "Big Daddy". Faster events in stand up paddling might include downwind SUP racing or flatwater Stand up paddle sprinting. In these high glide sup speed sports, the Nalu allows ultimate traction to move from swell to swell. If you are fit, strong, fast, and experienced, the Nalu stand up paddle is the SUP paddle for you. To determine your size simply add 8-10 inches to your height. KIALOA SUP paddles have been centered out of Bend, Oregon since 1992. Before that, the company was based around the Hawaiian islands. 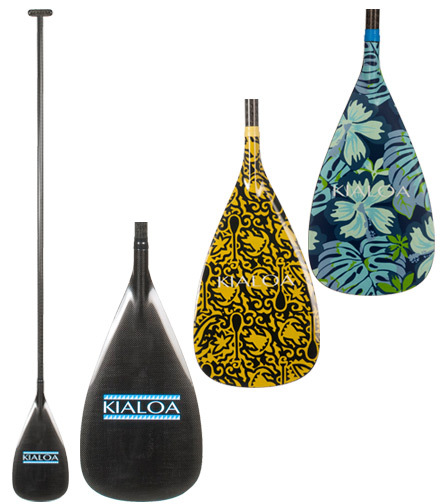 Today, KIALOA makes a full line of stand up, outrigger and dragon boat paddles, along with a number of other paddle accessories and products. Dave and Meg, owners and beginners of the KIALOA brand, still love to paddle, and can often be found together in the water paddling at the Deschutes River just by their shop in Bend. 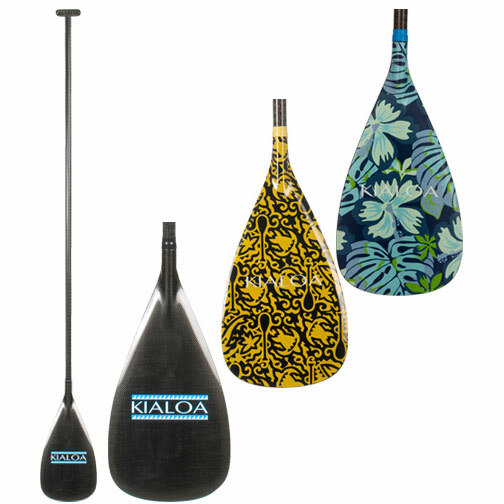 KIALOA's mission, which is to be an environmentally, socially, and financially responsible company that produces the finest quality paddles and cares for their customers, employees and business partners, is still alive today in the trustworthy and innovative way that they do business. KIALOA's business philosophy still retains its Hawaiian roots, claiming Po'okela (excellence), Malama (stewardship) and Laulima (teamwork) as their core values.